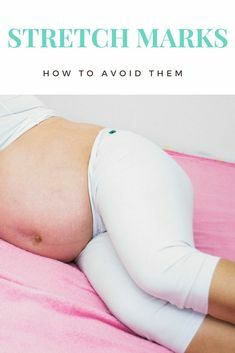 How to deal with anxiety in pregnancy, is something many pregnancy women ask. Did you know, 1 in 10 woman suffer from anxiety during pregnancy? For some they will see a decrease in their anxiety over this time. For others it will be heightened. Pregnancy is supposed to be a happy time, so many woman suffering with anxiety just don’t speak up about how they are feeling as they are embarrassed. Hormonal changes, a wealth of feeling and sensations all play into creating the anxiety you are feeling. It’s so easy to dismiss it as normal pregnancy symptoms. 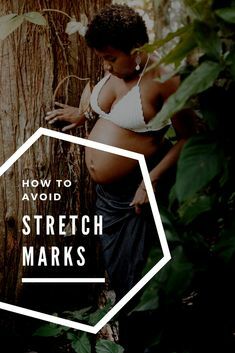 Things like energy levels, concentration, changes in appetite all of which are in themselves quiet normal when pregnant. Also are tell-tale signs of anxiety. If you are or have experienced anxiety in pregnancy, then you will know just how hard it is to explain. You feel so happy at expanding family. You’re looking forward to baby’s arrival. Yes something just keeps niggling you at the back of your mind. Worrying you over and over. I had an excellent pregnancy experience the first time round. Yet due to the birth and after care experience following my 1st child. I am now left with a mounting feeling of anxiety towards the delivery and recover of this child. This is flowing over into the pregnancy itself where every twinge and ache is over analysed. Where I am rigorously checking baby’s movements and doing drastic things to make him move just to be sure. It becomes impossible sometimes to stop your mind from running! Horrid thoughts of what if and worse case scenarios pop into my head and the most random times or very late at night making sleep impossible. Sometimes I am literally holding my breath and counting down days to dr’s appointments and scans for reassurance that all is well. Yet I have made no mention of this to my doctors. For feel I would probably be dismissed if I did as it being normal. But also for the lack of support I feel I would receive if I did. 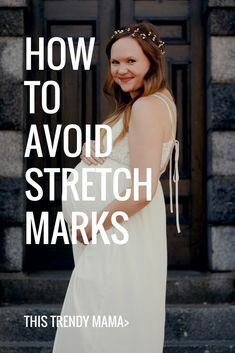 I will make a point to thoroughly talk through my birth plan and my concerns with my doctor closer to the time, but for now she doesn’t want to discuss this so far out. 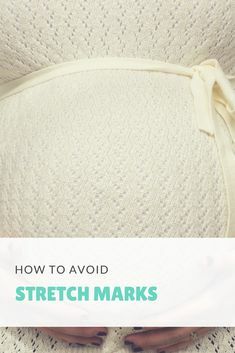 So I have faced this issue head on myself and several things and actions I will take to make sure that my pregnancy anxiety doesn’t get the best of me. Self medication is not always the answer I know that. I am not advising any of you out there to take matters into your own hands. If you too are experiencing anxiety in pregnancy, then please reach out to professional and seek help. However if you are like me and as an anxiety suffer have established coping strategies in place, then perhaps my plan of attack can give some insight into how to handle this new threat. I am painfully aware that I have to be careful to manage this, as anxiety in pregnancy has been linked to complications such as low birth weight (something I will have no issue with he is already 1.5kg at 24 weeks) Post Natal Depression, Impaired attempt to the baby, Pre-eclampsia and many more. Just rolling off that list in itself it enough to invoke an anxiety panic attack. For now I am choosing to go down the no medical route for counteracting and overcoming my anxiety and there are some way in which I will do this. For me it’s about taking time out. Recognising the feelings and sensations I am experiencing and finding new or adjust existing coping methods. These include mediation, deep breathing and yoga, being conscious of my feelings. Taking the time to think them through rationally and not just dismissing them. Slowing my overactive mind and giving me time to process things so that they don’t keep nagging away at me. Monitoring my diet. When I eat poorly, I can feel my anxiety begin to creep up and back in. It’s not always easy when your pregnant, on the go and a mum but I need to make the effort to make sure I include mood boosting foods such as Omega 3 fatty acids found in Salmon. Potassium and .vitamin B rich Banana’s for energy. Whilst cutting back of my caffeine intake, which is known to create nervousness and not good for baby. Often when I feel anxious I tend to shut myself away and over process everything. However one thing I have come to learn is that being open and communicating how I feel. Can honestly be the make and break as to whether I can cope. I have two confidants I can turn too when things get too much and I will make use of them to talk through my feelings. A second opinion can help you rationalise thoughts that you aren’t able to process alone. Also saying no, this is a big one. I don’t need to be rude or stand offish. But being able to politely tell people I am not able to do something for them. Attend an event or even just listen to them now is a huge weight off. It’s not the actually doing of any of these things that is the problem. It’s the doing it because I couldn’t say no and that I don’t really want to or don’t feel comfortable. So by being able to side step it in the first place is a massive importance. When things get crazy busy and I don’t take time to stop and come up for air. I can almost guarantee my anxiety with raise its head. I am a big planner as you probably now know and I make a point of planning in the things I have to do, so that I don’t become overwhelmed. This goes for me time too. It’s so easy to push it aside or forget about it when you feel you don’t have time to do everything. However it is greatly important to your self-care. Whether its taking a nap, putting my feet up for the afternoon or booking a massage. building in at least 30 mins to an hour of me time into my day really helps me stay on top of everything. Even making sure I get to bed early enough to get a full nights sleep or making time to do exercise will have a massive impact on whether I feel well rested and fit enough to handle the challenges laid before me. Which as a mother and experiencing a pregnancy you know is a daily occurrence. Are you worried about how you feel while you’re pregnant? Do you have advice on how to deal with anxiety in pregnancy? Please let us know in the comments below.